I am a qualified world-class cabin attendant with excellent work ethics. 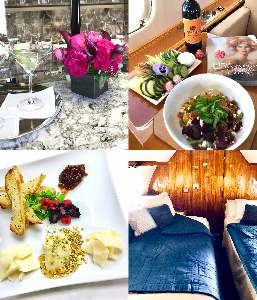 My personal in-flight service includes gourmet dining, modern cuisines, nutritional expertise, spirits & wine connoisseur, and five-star food presentation. I am culinary trained and knowledgeable of dining etiquette in both American and European customs. 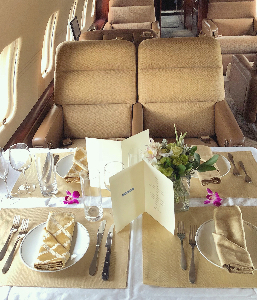 I am experienced in planning, ordering, preparing and serving outstanding culinary dishes inflight. 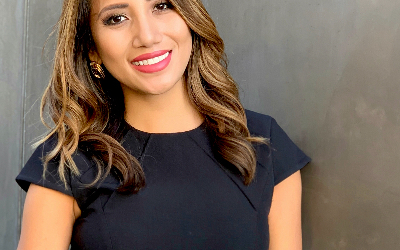 I have traveled all over the world with vast experience serving high profile/net worth clientele and engaging with customers from various demographics. Certifications: Aircare FACTS - G550 Evacuation Crewmember Training, 2017; Cabin In-flight service FAR 135 and Part 91, 2016; First Aid, CPR and AED use, 2016. 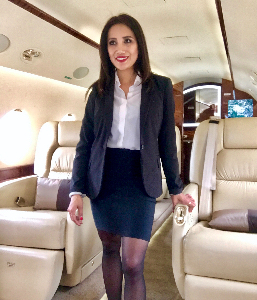 Member of NBAA Cabin Attendant In-flight Service & European-style Etiquette Training, Global Crew Prestige, May 2018 Flight Attendant Service Culinary & Etiquette Training - The Corporate School of Etiquette, 2017 Aircraft Experience: Global XRS, Global 5000, Gulfstream 650, G550, GV, GIV, Falcon 2000, Falcon 900, Challenger 605, CL601, CL350, Legacy 600 I am available for long or short trips, domestic or international travel. I am also accessible on short notice. Relocation is possible for the right full time position. I have a resume and excellent references upon request. I look forward to flying with you!